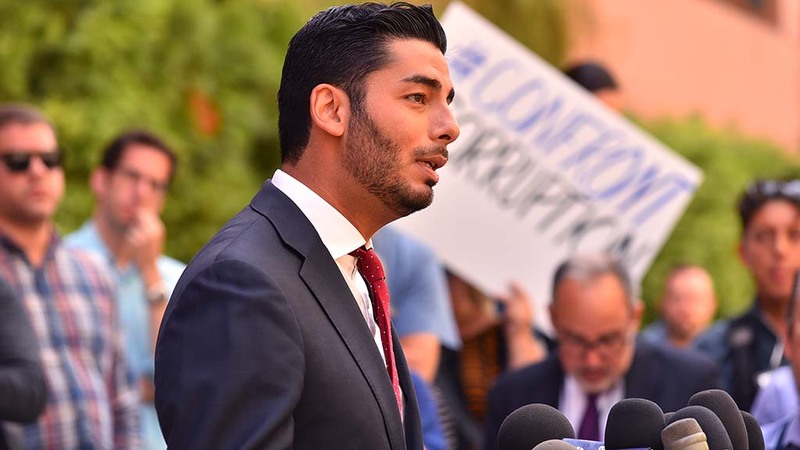 Democrat Ammar Campa-Najjar’s first TV ad, noting the indictment of Rep. Duncan Hunter, was posted to YouTube late Wednesday and already was the subject of a national wire-service story. Campa-Najjar said he gave House Speaker Paul Ryan credit for stripping the five-term congressman of his committee responsibilities. The commercial, titled “Duncan Hunter: More than Unethical,” goes on to say that Hunter defrauded wounded warriors and insulted the military. Hunter and his wife, Margaret, pleaded not guilty last week to using more than $250,000 in campaign funds for personal expenses, including family vacations, dental bills, theater tickets and international travel for relatives.